Look no further! Welcome to your home at 2403 Terralinda Drive. 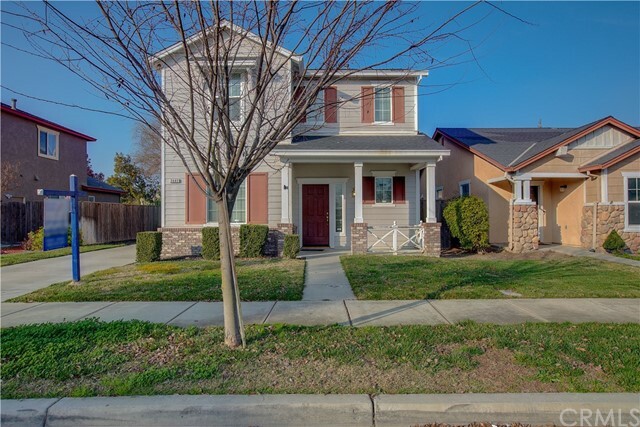 This 2-story home featuring 3 bedrooms and 2.50 baths is located in Northern Turlock near Pitman High, Turlock Soccer Complex and CSU Stanislaus. Property is close in proximity to HWY 99, so ideal for those commuters. At approximately 1,767 square feet, this gem features separate living rooms, kitchen with tile counter tops overlooking to living room, all bedrooms located upstairs, Master suite with sitting room and walk-in closet, and a spacLook no further! Welcome to your home at 2403 Terralinda Drive. This 2-story home featuring 3 bedrooms and 2.50 baths is located in Northern Turlock near Pitman High, Turlock Soccer Complex and CSU Stanislaus. Property is close in proximity to HWY 99, so ideal for those commuters. At approximately 1,767 square feet, this gem features separate living rooms, kitchen with tile counter tops overlooking to living room, all bedrooms located upstairs, Master suite with sitting room and walk-in closet, and a spacious backyard with all sorts of possibilities. ©2019 Sandicor, Inc. All rights reserved. The data relating to real estate for sale on this web site comes in part from San Diego Multiple Listing Service (SDMLS). The information being provided is for consumer's personal, non-commercial use and may not be used for any purpose other than to identify prospective properties consumers may be interested in purchasing. Data updated on Sunday, April 21st, 2019 05:56:21 PM.